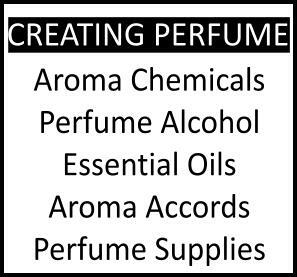 Have you wondered why some people spontaneously identify a particular ingredient in perfumes as "cat piss"? The seemingly rude term is not without some logical explanation and might indeed indicate a refinement of nose rather than an abject rejection of perfume en masse. Let's explain. Black currant bud absolute is known as bourgeons de cassis in French, coming from Ribes nigrum and differentiated from the synthetic "cassis" bases that can be cloying and which were so very popular in the 1980s and early 1990s perfumery, notably in Tiffany for Tiffany (by Jacques Polge) in 1987 and Poeme for Lancome (by Jacques Cavallier) in 1995. Compared to the artificial berry bases defined as "cassis," the natural black currant bud absolute comes off as greener and lighter with a characteristic touch of cat. Specifically the ammoniac feel of a feline's urinary tract, controversial though that may seem. The characteristic odor of the black currant berries and flower buds of the black currant plant is due to glandular trichomes that carry thioles, especially 4-methoxy-2-methylbutan-2-thiol, an ingredients which brings on a cat-urine note atop the fruity facet of the plant. 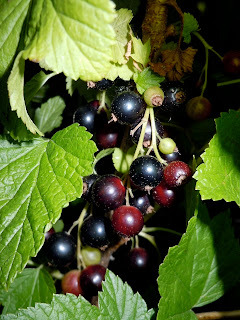 Three hydroxy nitriles also contribute a significant element into the odor profile of black currants, attesting to the acquired taste that black currant is as a note in perfumes. But other plants share some of the particular note, though they're less used in perfumes, such as the leaves of the South African buchu, with which it pairs when the desired effect is to reinforce the feline. Black currant absolute comes from the bud (as per Biolandes, who produce it in France in Le Sen and Valréas regions) but also from the distilled leaves of the plant (as per perfumer Aurelien Guichard) and is extracted into a yellowish green to dark green paste that projects as a spicy-fruity-woody note retaining a fresh, yet tangy nuance, slightly phenolic. Its most celebrated use has been in being introduced in Guerlain's classic 1969 perfume Chamade, composed by Jean Paul Guerlain. Van Cleef & Arpels, however, have done much to promote their own pioneering use of black currant buds in First, coming out in 1976, composed by perfumer Jean-Claude Ellena. The niche creator Annick Goutal envisioned a fragrance for the young girl in every woman in 1982 when she created a deliciously mellow blend of blackcurrant buds, mimosa and cocoa for her daughter Charlotte in Eau de Charlotte, because her daughter loved blackcurrant jam. Due to concerns with irritation hazards to eyes, the respiratory system and skin sensitization, black currant bud absolute is used no more than at a rate of 1.0000% in the fragrance compound nowadays and only 20,0000 ppm in flavoring usage. In fragrances, black currant bud absolute blends particularly well with roses but it also allies very well with a pleiad of perfumery ingredients: allyl amyl glycolate (a modern "pineapple"-like metallic musky note), ambrettolide (light, vegetal smelling musk), benzoin (a sweet resin), benzyl acetate (fruity floral with hints of jasmine), buch leaf oil (for reinforcing its catty profile), orange and citruses, cyclamen aldehyde, beta-damascone (rosy-fruity), beta-ionone (violet), ethyl maltol (the scent of cotton candy), heliotrope/heliotropin, galbanum (bitter green resin), oakmoss (tree lichen with bitter inky profile), jasmine absolutes and various rasperry ketones. I love Chamade, and I'm glad to know more about the notes that it has. I have a feeling that I already like or would like many on this list. These articles are always so interesting, informative and educational. Thanks! There is always the blackcurrent classic, Ribena....(mind you, if the flavouring use is as you say, what is in that syrup...). It's an interesting thing that blackcurrant pairs so well with rose and also with some of the florals in Chamade, so I bet you will find lots of stuff to interest you in the list. 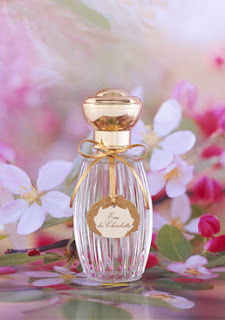 I also rec you try Grand Amour by Goutal which has some of the Chamade elements. 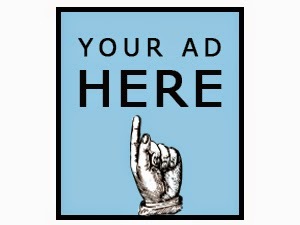 I have reviewed it in full on the blog (see Reviews list). I think the juice does contain some of the same elements, most probably, though certainly not cat piss (but ingredients common in both). Lots of sugar to be sure! 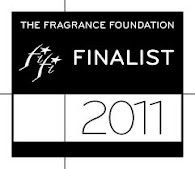 I was sure I´d see Guerlain Aqua Allegoria Pamplelune on that list. I can't make Pamplelune work for me either. Pity as it's so fresh and exciting out of the bottle! Also can i know your opinion on Alure by chanel , it costs high but what i heard from some of the online sources was that its worth more than the price.Any thoughts on this.